It’s Reiko here and I’m sharing a letter-sized layout using the Build-A-Flower: Rose Stamp and Die Set. Today is my 42nd birthday so I want to celebrate it with something special! I have created a layout with the Build-A-Flower: Rose Stamp and Die Set. This beautiful and fabulous stamp cheers up my selfie and celebrates another year of me becoming older. My title is ‘Be You’. I will be more “ME” this year! I used ‘Our Family Washi Tape’ to fill the inside of a wooden heart from ‘Our Family Wooden Veneers’. 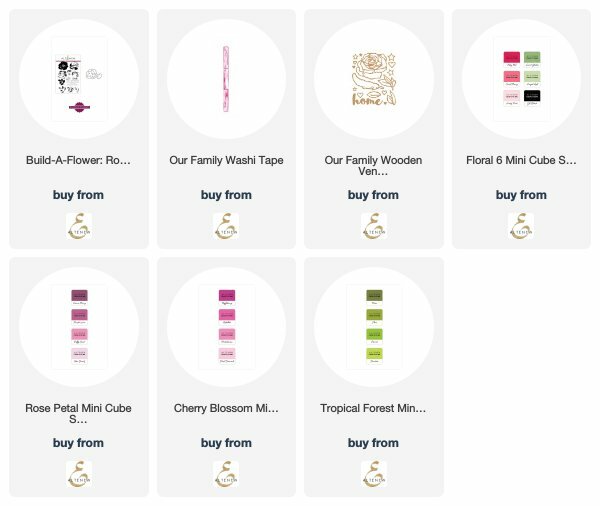 The ink colors used were: Floral 6 Mini Cube Set, Rose Petal Mini Cube Set, Cherry Blossom Mini Cube Set, and Tropical Forest Mini Cube Set. I hope you were inspired! That is all for today. Happy birthday to you! This is a beautiful layout! I love the tiny flowers you added. Thank you for great inspiration.